Download Free Bomberman vs Zombies BlackBerry Games. 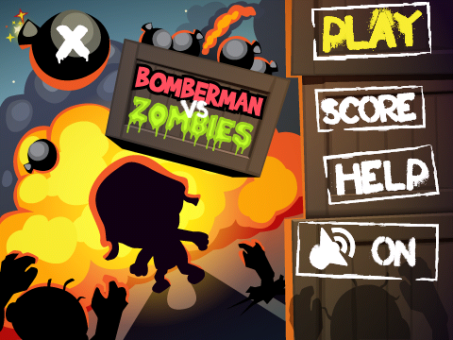 Action, explosions, zombies and a real Hero Bomberman! All these and even more in a super new spectacular game Bomberman! When darkness invades the Earth, and all people have dreams of a better world, Zombies take the floor! Step by step, night by night, they realize their dark plans. The World could have turned into Zombieland, but Bomberman was prepared to save the Planet! How is he gonna do it? All in all Bomberman has 5 lives. To pass the level a player has to kill all the Zombies or to find a key in one of the boxes and open the hatch. The hatch is a kind of door, through which a player passes to the next level. Be brave, save the Planet! P. S. Don’t be shy and let us know whether you like the application or not. Feel free to contact Contlex Ventures team if you have some problems with the application and we will do our best to solve it. Thank you. Enjoy your time with Contlex Ventures! Disclaimer: This download is for personal use (mobile phones) only. Kindly do not copy, modify, distribute or sell the whole or parts of this file without permission of the creator. Created by 'ajid' 'penulis kecil'.